We Did A Thing - Snake Pass is OUT NOW!!! This post is going out much, much later than we originally planned, but as you probably guessed, the past week has been crazy busy for us with EGX Rezzed and of course LAUNCH. Hopefully you can forgive us. Better late than never they always say. Without further ado, let's jump in! So, here we are. 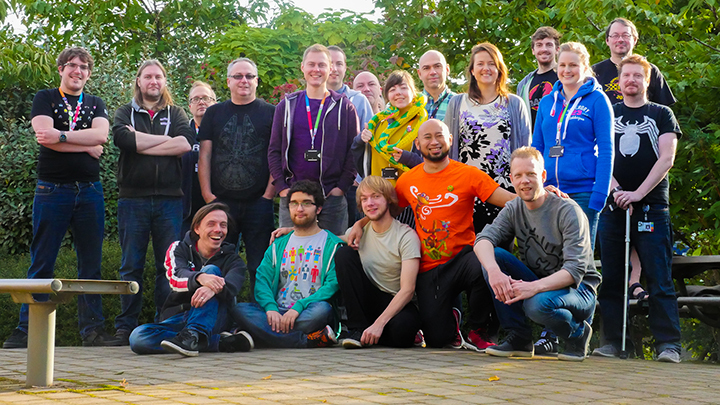 A week after Snake Pass was launched into the world. That is honestly quite surreal to be able to type. We always knew the game was coming out, we always had an idea of when it was coming out, but the fact we've now gone and done it, it still hasn't quite sunk in. What's even cooler - it's out there and people LOVE it. Not just the "oh it was ok" kind of love - the actual "Oh my god give us more! PLEASE" kind of love and that for any game developer is the part that hits you right in the feels, no matter what part of the team you're from. Needless to say, your support and your passion for this humble little game has left some members of the team more than speechless in some cases. The comments. The reviews. The YouTube videos. The streams. It's all just overwhelmed us and I don't think any one of us could thank you all enough for that support. It's hard to think that, a little over a year ago - in fact, my phone reminded me on Wednesday that it was exactly ONE year ago to the day - since we unveiled the Snake Pass prototype to the public at EGX Rezzed. We all remember that event incredibly fondly, after all - we've said it time and time again, Rezzed was the event that helped Snake Pass to where it is today. It was the reactions and sheer passion of the fans from that event that helped us make the decision to put Snake Pass into full production. We turned up to Rezzed not knowing what to expect, feeling quite lost in the world as we'd never done ANY form of event like this ourselves. We walked into the room on the ground floor of Tobacco Dock, found our little space with our art work and two screens and then just looked at each other. "We've made it. This looks AMAZING how could this get any better?" How misguided we were, because things got only got better from there. Since then we've been to PAX East, GDC, PlayStation Experience, EGX and Develop. We've been invited personally by Double Fine Productions to showcase at Day Of The Devs. We've done event after event alongside our good friends at Epic, Microsoft and Nintendo. It's simply been incredible going above and beyond our expectations. Never in our wildest dreams did we expect to get as many opportunities as we've had. With that said, we'd like to give a MASSIVE shout out to all the guys at ID@Xbox, Nvidia, Nintendo, PlayStation, Valve and Epic for all of their support. You have no clue how much it has meant to us. You all ROCK. Of course, there's one special thank you in reserve for you guys. Yes you. And you. And you. And you too. Also you in the black shirt. Snake Pass has been a labor of love and passion that our team has been building from the ground up over the past year. Game development can be a long and arduous project, where you can often lose sight of the forest for the trees and then you guys come in. There can be times where you question your own decisions, but then something special happens. You guys, the public, the community. You guys come in and It is YOU that really help make this worthwhile. Being able to meet so many of you at events across the globe and to have you experience Snake Pass for the very first time has been quite simply magical. To see your smiling faces every time you played Snake Pass has been astounding. Squeals of "NOODLE IS THE CUTEST SNAKE EVER" still touch our hearts. It's funny though: The number of events we've done, you'd think we'd get use to it by now - but it still hits us in the chest every time. Every event that slight bit of doubt creeps into your mind "maybe this time they'll hate it...maybe we shouldn't be doing this" - and every time you have shattered those thoughts and helped reaffirm that we've been doing something right. From the very start, we set out to make Snake Pass a 'fun' game. We knew we were taking a few risks with our slightly quirky control scheme, but in the end it seems that didn't matter. You guys have embraced it. You have snaked to the highest points on Haven Tor. You have destroyed some of our best speedrun times. You have all really taken our mantra to heart and begun thinking like snakes and it's been more than amazing to witness. So, yes, this one is for you. From every single member of the Snake Pass team we just want to say a massive THANK YOU to YOU. Not just for your support, but for your passion and commitment, as well as for bringing a smile to our faces on a regular basis. You helped us do this. We know there's one question that a ton of you have been asking us recently, so as we draw to a close, maybe it's time we look at that. "What's next for Snake Pass? Will there be a sequel?" Ok, Technically that is two questions. That little detail aside - I can honestly say we don't actually know right now. Crazy, right? To ground that statement a little bit - rest assured, we've been experimenting with a lot of different things over the past few weeks - some of which will probably never see the light of day (as game development goes!). Others however, we're slowly gravitating towards. It all comes down to what we think is right for the game and of course what YOU guys want to see. Plenty of you have asked for a multiplayer component - will that come to the game? Only if we can make it RIGHT and FUN. Want to see something specific in the game? Get social with us. Tweet Us. Facebook us. Jump onto the Steam forums. Drop comments below. We're always lurking and listening. TL:DR - Is this the end of the road? Heck no! We're just getting warmed up. For now though...Ssstay tuned. On that note, I think that is a great place to end this post. Thank you for helping bring us to this point. The game is now yours. It is in your hands. Go forth and ENJOY it! Snaking Our Way To EGX Rezzed + Dev Diary 3 Released! © 2017 Sumo Digital Ltd. All rights reserved. 'Snake Pass' and the 'Snake Pass' logo are trademarks or registered trademarks of Sumo Digital Ltd.
“PlayStation” and the “PS” Family logo are registered trademarks and “PS4” is a trademark of Sony Interactive Entertainment Inc. ©2017 Valve Corporation, Steam and the Steam logo are trademarks and/or registered trademarks of Valve Corporation in the U.S and/or other countries. © 2017 Nintendo. Nintendo Switch and Joy-Con are trademarks of Nintendo. Unreal, Unreal Engine, the circle-U logo and the Powered by Unreal Engine logo are trade­marks or registered trademarks of Epic Games, Inc. in the United States and elsewhere.